Hi guys!! Happy Friday!! 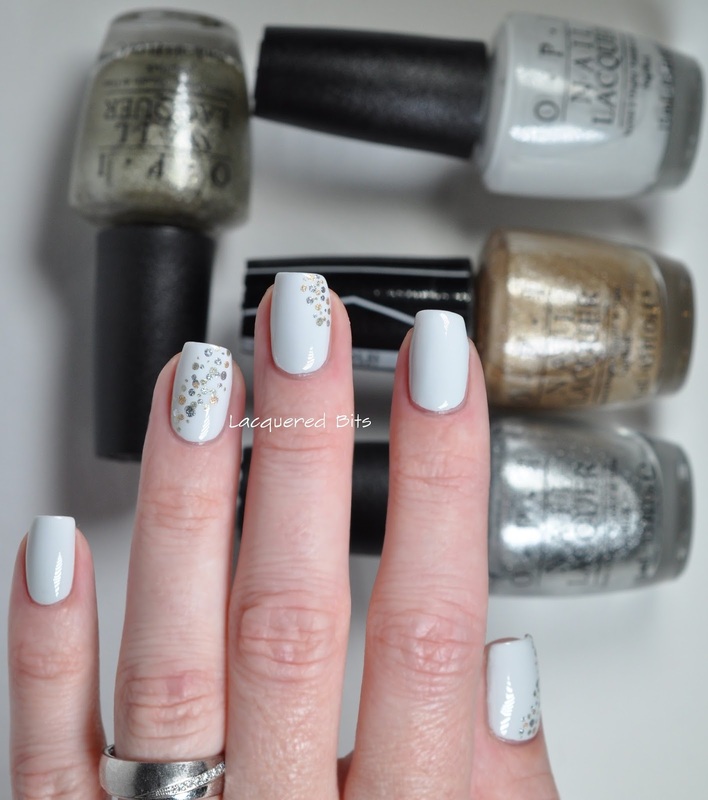 Today I have gold & silver dotticure for you. It’s simple and elegant, just what I needed. This actually was my second option for the mani, kind of a back up. Initially I wanted to make quilted nails but I failed horribly at doing this type of pattern. I assure you I will make it one day, but till then I need to practice it a lot :). So here is my back up mani. 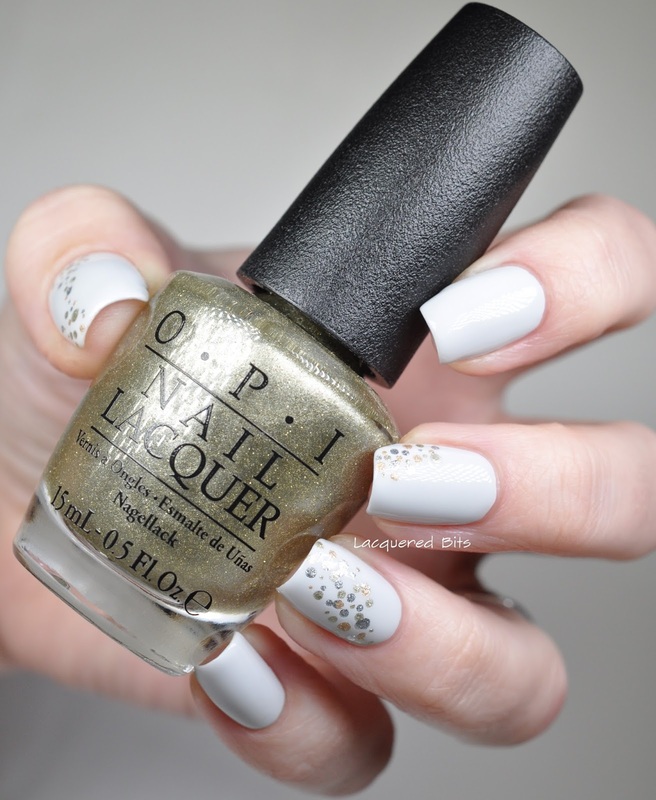 I painted all of my nails with O.P.I – I Cannoli Wear OPI, which I swatched here. I did three coats to get it fully opaque. And then I waited for about 30 minutes to let the mani dry and then I started to do the dots. 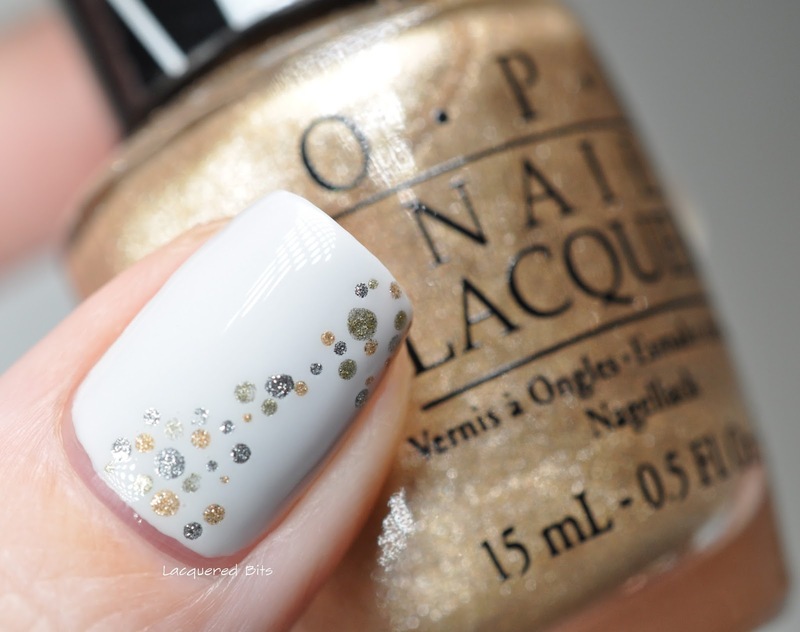 I took my dotting tool from Essence and I used O.P.I – Love.Angel.Music.Baby, O.P.I – Comet Closer & O.P.I – Turn On The Haute Light to do the dots. I put them in a totally random order and sizes. I like these dots a lot and I think I will do something familiar with spring colours when the time comes. To seal the mani I used Essie – Gel Setter. Thank you for reading and have a great weekend! !